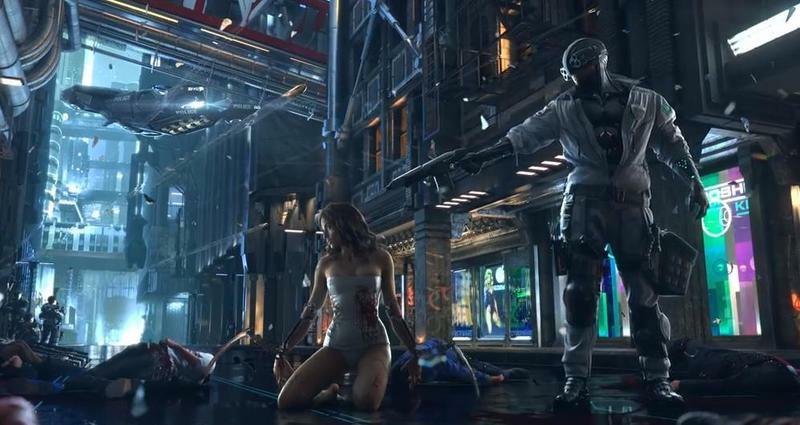 Cyberpunk 2077 is CD Projekt RED's first game since The Witcher 2: Assassins of Kings. Based on the Cyberpunk pen-and-paper series, this new entry aims to, according to the email that accompanied the trailer, "be true to the essence of the cyberpunk genre." The teaser shows how the Psycho Squad might acquire a new member. The Psycho Squad specializes in combating "psychos" – individuals who overuse implants and substances that boost or otherwise alter the human body. There comes a point when they overdose on these innovations, and their bodies start to rebel against their biological body parts as well as against all things organic around them. Simply put, they start killing people, who they now derisively call "meatbags." Personally, I'm glad that one of the many vibes I got from this new trailer was that of Blade Runner. In the world of high tech and low lives, Blade Runner takes the cinematic cake in my mind. Any game to hit on similar themes already piques my interest. As CD Project RED quips at the end of this clip, Cyberpunk 2077 will be ready when it's ready. We assume this one will certainly drop for PCs, other platforms remain a question mark. We'll have more on this game as it comes.